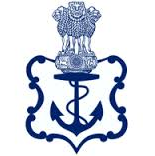 Indian Navy published notification for unmarried Male Candidates for enrollment as Sailors for Senior Secondary Recruits (SSR) - 02/2016 Batch Course Commencing August, 2016. Education Qualification: Qualified in 10+2/ equivalent examination with Maths & Physics and at least one of these subjects; Chemistry/Biology/Computer science. Age limit: Candidates should have been born between 01 Aug 1995 to 31 Jul 1999 (Both dates inclusive). During the initial training period, stipend of Rs 5700 pm will be admissible. On successful completion of initial training an amount equal to the minimum of scale as mentioned below, less stipend already paid, shall be admissible from the date of commencement of service. Selection Criteria: Selection of recruits is based on the order of merit on their performance in Written Test, qualifying Physical Fitness Test (PFT) and fitness in Medical Examinations. The question paper will be bilingual (Hindi & English) and objective type. The question paper will comprise of four sections i.e. English, Science, Mathematics and General Knowledge. The question paper will be of 10+2 standard and the syllabus for the examination is available on website www.joinindiannavy.gov.in. Physical Fitness Test (PFT): PFT will consist of 1.6 Km run to be completed in 7 minutes, 20 squat ups (Uthak Baithak) and 10 Push-ups. Candidates undergoing PFT will do so at their own risk. Medical examination will be conducted by authorized military doctors as per medical standard prescribed in current regulations applicable to sailors on entry. Minimum height 157 cms. Weight and Chest should be proportionate. Minimum Chest expansion of 5 cms. The candidate must be in good physical and mental health, free from any defect likely to interfere with the efficient performance of duties both ashore and afloat under peace as well as war conditions as per Navy Order (Special) 01/2008. Initial Medical Examination for recruitment will be considered only “Provisionally fit subject to fitness in the final medical examination”. Final Medical Examination of all selected candidates will be done at INS Chilka. Candidates who are found medically fit at final medical examination will be enrolled for training. No “Appeal” is permitted for review after the final enrolment medical examination at INS Chilka. Tattoos: Permanent body tattoos are only permitted on inner face of forearms i.e from inside of elbow to the wrist and on the reversed side of palm/ back (dorsal) side of hand. Permanent body tattoos on any other part of the body is not acceptable and candidate will be barred from recruitment. Training: The training for the course will commence in Aug 2016, with 22 weeks Basic Training at INS Chilka followed by Professional training in the allotted trade in various Naval Training Establishments. Branch / Trade will be allocated as per the requirement of Service. How to apply: Interested Candidates may apply Online through website www.joinindiannavy.gov.in and send their print two copies of the online application form. One copy duly signed, along with attested copies of matriculation certificate, 10+2 mark sheet, domicile, NCC Certificate (if held) & one self addressed envelope of size 22x10 cms with Rs 10/- stamp affixed on envelope is to be forwarded by ordinary post to the concerned office so as to reach on or before last date.